CROWN POINT, Ind. (WLS) -- A disabled woman from Crown Point, Ind., said a an airline crew broke her leg while placing her in a seat on a plane. Mary Dordieski was flying from O'Hare to Macedonia last summer when her Austrian Airlines flight was diverted due to mechanical problems. The next day, her flight resumed but the airline did not place her in the bulkhead seat, which offers her extra room, that she had reserved. Dordieski has spina bifida and knee and leg problems. Her family said the flight crew picked her up from her special wheelchair and broke her leg while trying to get her into a regular seat. 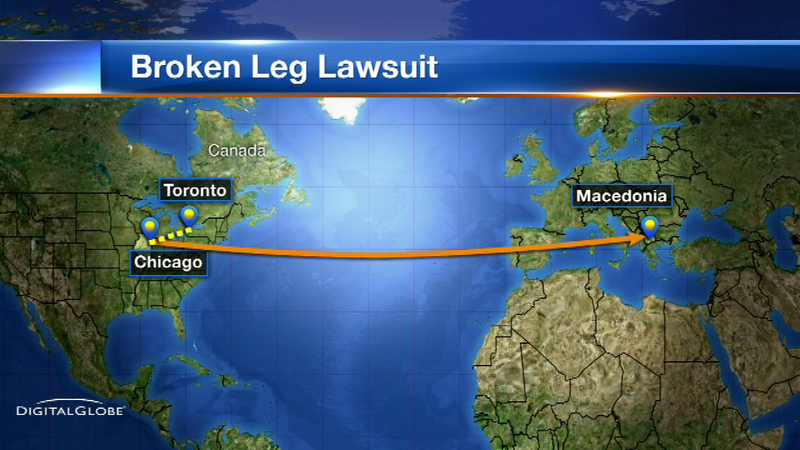 Dordieski is suing the airline for compensatory damages, including medical expenses.